C.yunnanensi W.T.Wang affinis, sed foliis nervis lateralibus (10-)13-21-jugatis (nec-7-9-jugatis),pedicellis 9-13mm longis(nec circ. 4mm longis), sepalis 5 mm longis 4 mm latis (nec circ. 8 mm longis latisque), patalis exteroribus ovatis 2.5 cm longis 1.3 cm latis (nec 2 cm longis7 mm latis) facile differt. 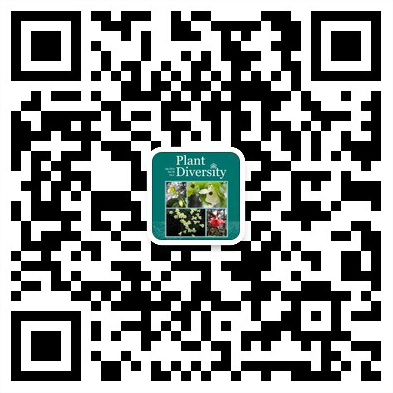 Nineteen new species and one new variety of the genus Impatiens L. from Yunnan, China are described. They are Impatiens longirostris; I. salwinensis; I. deqinensis; I.yid; I. pianmamsis; I. ivenshanensis; I. laojunshanensis; I. malipoensis; I. bannaensis; I. ximaensis; /. sunhixingana; /. daguanensis; I. mananensis; I. suijiangensis; I. zixishanensis; I. diannanensis; /. claviger var. auriculata', I. erfuensis; I. banpoensis; I. dqfuensis. Species nova E.sagittato (Sieb. et Zucc.) Maxim. simils, sed paginis foliorum pilosis, floribus majoribus (circ. 2 cm diam. ), sepalis exterioribus ad medium purpureo-roseis, petalis purepureo-roseis, saccatis, elimbatis, antheris viridulis oblongis 2-locularibus, loculis aegualibus parallelis ad maturitatem a basi ad apicem apertis, lobis persitentibus revolutis, facile differt. A new variety Astragalus englennr^s Ulbr. var. gindongensis Z. G. Qian, var. nov. and new synonyms Astragalus saccatocarpus K. T. Fu, Astragalus naigruchus Y. H. Xu et Q. R. Liu As. tragalus voburus Y. H. Xu et Q. R. Liu are reported in this paper. Among of the vast numbers of fungi, key taxa are of great importance for scientific research, economic development and ecosystem management. It is urgent and necessary to select and determinate key taxa from the species recorded from China. Based on many field investigations and analysis of literature about larger members in higher fungi from China, with reference to the selecting and determining principles and methods used for animals and plants, three types of key taxa were proposed: endangered taxa, impor-tant taxa for scientific research and important groups for economy. "Snow lotuses" are a common name of some plants from the genus Saussurea (Subg. Amphi-hena and Subg. Eruwonyne). These plants are one of the most famous alpine plants in Tibet areas and usually distribute in screes and stone meadows of elevation above 3 500 m. "Snow lotuses" have been used as famous traditional Tibetan medicine to treat different diseases for many years. Since Diqing Autonomous prefecture become a hot spot of tourism, "Snow lotuses" have become a tour commodity. The spores of eight species of Selaginellaceae, Selaginella amblyphylla Alston, S.bisulcata Spring, S.kurzii Baker, S. laxistrobilis K. H. Shing, S.omata (Hook. etGrev.) Spring, S.pseu-dopaleifera Hand .-Mazz., 5. repanda (Desv. ex Poir) Spring and 5. siamensis Hieron. from Yunnan of China were observed by means of LM and SEM. In this paper, the superficial ornamentation of spores of order Filicales from China was classi-fied based on the observation under scanning electron microscope (SEM) . The morphological features of each type with micrographs were described. A karyomorphological study of the monotypic genus of Sladenia is studied and compared with those of the supposedly related families, such as Actinidiaceae, Theaceae sensu stricto, and Ternstroemi-aceae. It confirms that chromosome number of Sladenia is 2n = 48. Sladenm has 2A karyotpye with a kaiyotypic formula of 2n = 4x = 48 = 4M + 36m + 8sm. Its interphase nucleus is characteristic of densely diffuse type. The condensation behavior of chromosomes during mitotic prophase conforms to the interstitial type. Comparative kaiyotype reveals that Sladenia is different from the related families not only in the ba-sic number, but also in the size and morphology of metaphase chromosomes, the structure of interphase nuclei, condensation behavior of chromosomes during mitotic prophase, and presence or absence of the satellite and the nucleolar organizing region as well as. These dissimilarities indicate that Sladenia is far from Actinidiaceae, TTieaceae sensu stricto. Moreover, the karyomorpholgical study shows that SMenia is not close to Temstroemiaceae, which was achieved by the previously molecular data. The present paper reports the characters of floral anatomy of Megacod^n (H. Smith and Vera,-nUa Franch. The results are used to discuss the systematic relationships of Megacodon and Veratrilla The floral anatomy of Megacodon and female floral of VeratrilU. are peculiar in the (part or all) sepal trac-es ansmg conjomtly with the petal traces. In male floral of Veratrilla, the petals and sepals receive one trace each directly from the stele. These group share similar charade. : the stamens receive one trace each directly from the stele and each caipel receives 1 don,al bundle and 2 ventral bundles. Ilex kudingcha was used as "Tea" for a long time in China. The influential factors of RAPD in Ilex kudingcha C. J. Tseng are studied and the experimental parameters are optimized. In the present paper, the adaptability of endangered plants introduced from various areas of China into Kunming Botanical Garden was summarized, and the relationship between floristic character and conservation ex situ is discussed. 1. Those species from central and southeast Yunnan have been found stronger adaptability. Most of them could grow, flower and fruit normally, because their native habitat is similar to that of Kunming. The areal-type means distribution map of certain plants always same or nearly same. This is an important method in floristic research to divide distribution into different areal-types. More than 3116 gen-era of seed plants have been recorded in China. They have been classified into 15 areal-types and 37 sub-types . The certain number represent certain areal type such as number 2 always means pantropic distribu-tion pattern. After repeated to tests and uses, it has been proved that characteristics and relationships of each areal type can be showen by such classification. 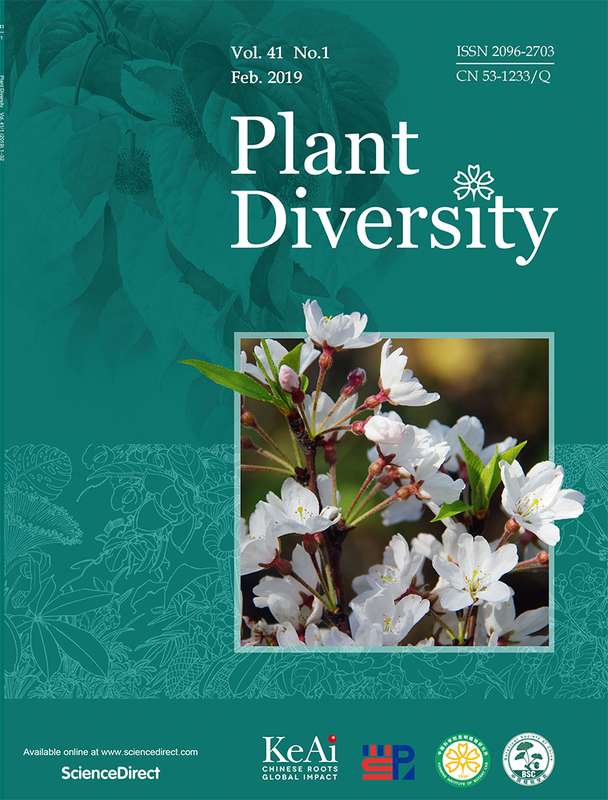 A classification precept of families of seed plants of the world has been proposed at present paper. A new C - 14 oxygenated taxoid, 14β-hydroxy-baccatin VI (1), together with seven known taxoids, baccatin VI (2), baccatin IV (3), lβ-dehydroxybaccatin IV (4) , taxayunnasin A (5), 2α-deacetyl-2α-benzoyl-13α-acetyltaxayuntin (6), 5α-hydroxy-2a, 7β, 9α, 10β, 13α-pentaacetoxy-4 (20), 11-taxadiene (7) and taxacin (8) were isolated from the ethanolic extract of leaves and stems of Taxus chinensis (Pilg) Rehd. The structures of the compounds were elucidated by spectroscopic tech-niques. The detailed 13C and 1H NMR data of the seven known compounds were measured in acetone- d6,and the NMR data of taxacin (8) were reported for the first time. From the roots of Panax notoginseng fourteen cyclodipeptides 1-14 were isolated including one new compound (1),seven new natural compounds (4-10) and six known compounds (2-3,11-14) together with one known other compound 15.The chemical structure of 1 was elucidated as cyclo(LeuThr) based on spectral methods.From the roots of Panax ginseng five known lactams (16-20) including pyroglutamic acid were isolated together with butyric diacid,daucosterol and sucrose.The primary bioactivity test showed that pyroglutamic acid and its nbutyl derivative have weak Ca2+ antagonistic activity.